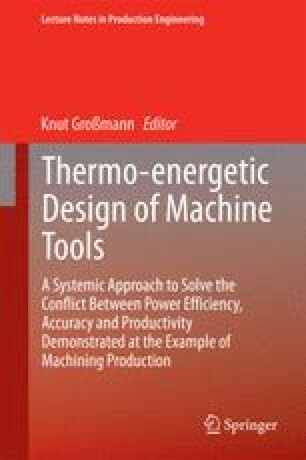 The approaches to the correction and/or compensation of thermally caused machining errors developed in the CRC/TR 96 have different effects on the accuracy that can be achieved and on the throughput capacity. Consequently, the approaches generate different benefits. At the same time, the costs and time required for their generation and application differ as well. As a result, not only the technical, but also the economic consequences of each method in terms of its usability for practice-relevant applications are of interest to potential users. Methods for comparing the various approaches are developed in subproject C05. These methods are based on the technical and economic benchmarking guidelines introduced in the paper.